Postpartum depression (PPD) is the most common complication of childbirth, Dr. Jarvis explains, occurring in up to 20 percent of all mothers, and may be higher (up to 50 percent) in low-income and immigrant women. Far beyond simple "baby blues," the mood disorder can have significant implications for the mother, her baby and the entire family. It can hinder mother-child bonding and lead to early discontinuation of breastfeeding, delayed immunizations, and child abuse and neglect. The associated effects on early brain development might cause cognitive and developmental delays for the infant and, later in life, can manifest as emotional and behavioral problems. PPD can disrupt relationships between parents. And suicide is the top cause of postpartum death. Mothers are supposed to be screened routinely for PPD at postpartum visits with their maternal or pediatric health care providers. In addition, several medical professional societies–including the American Academy of Pediatrics and the American College of Obstetricians and Gynecologists–now recommend screening for PPD in the prenatal and postnatal periods and during routine well-child visits in the outpatient setting. But these screenings often don't happen, Dr. Jarvis says, either because doctors aren't following the recommendations or parents aren't attending these visits due to barriers to health care access or other problems. "The ED becomes the safety net for people who are not routinely accessing regular checkups for themselves and their children," Dr. Jarvis says. "If a mother is having an acute crisis in the middle of the night and feeling anxious and depressed, they often come to the emergency department for help." Just over half agreed to participate. When Dr. Jarvis and colleagues analyzed the results from these 209 mothers, they found that 27 percent scored positive for PPD, more than the average from previous estimates. Fourteen of those mothers reported having suicidal thoughts. Surprisingly, nearly half of participants reported that they'd never been screened previously for PPD, despite standing recommendations for routine screenings at mother and baby care visits, the research team writes in findings published online May 5, 2018, in Pediatric Emergency Care. Based on the screening results, the researchers implemented a range of interventions. All mothers who participated in the study received an informational booklet from the March of Dimes on PPD. If mothers scored positive, they also received a local PPD resource handout and were offered a consultation with a social worker. Those with a strongly positive score were required to receive a social worker consultation and were given the option of "warm-line" support to PPD community partners, a facilitated connection to providers who offer individual or group therapy or home visits, or to a psychiatrist who might prescribe medication. Mothers with suicidal thoughts were assessed by a physician and assisted by crisis intervention services, if needed. "Some of these women had no idea how common PPD was. They thought they were crazy and felt alone and were bad moms," Dr. Jarvis says. "For someone to even ask about PPD made these women aware that this exists, and it's something people care about." Many thanked her and colleagues for the follow-up call, she adds, saying that it felt good to be cared for and checked on weeks later. "It goes to show that putting support systems in place for these new mothers is very important," she says. Dr. Jarvis and ED colleagues are currently collaborating with social workers, neonatology and other Children's National Health System care partners to start screening mothers in the neonatal intensive care unit (NICU) and ED for PPD. They plan to compare results generated by this universal screening to those in their study. These findings will help researchers better understand the prevalence of PPD in mothers with higher triage acuity levels and how general rates of PPD for mothers in the ED and NICU compare with those generated in past studies based on well-child checks. Eventually, she says, they would like to study whether the interventions they prescribed affected the known consequences of PPD, such as breastfeeding, timely immunization rates and behavior outcomes. "With appropriate care and resources," Dr. Jarvis adds, "we're hoping to improve the lives of these women and their families." 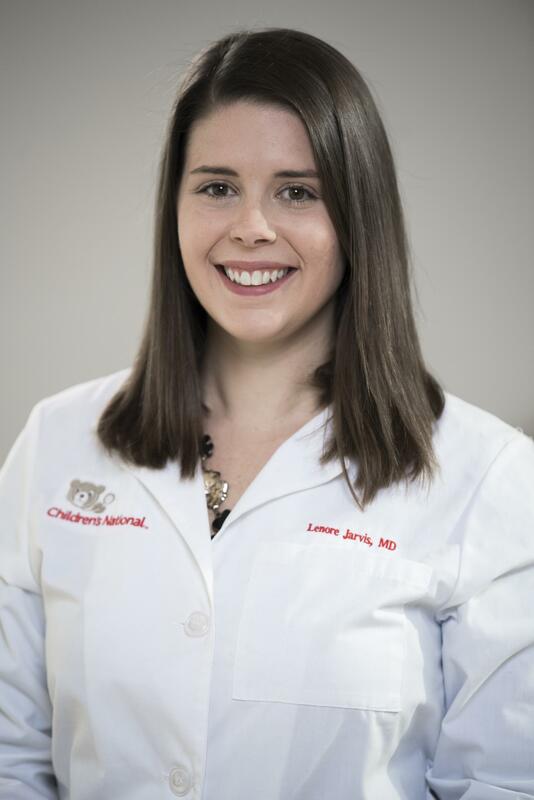 In addition to Dr. Jarvis, the lead study author, Children's co-authors include Kristen A. Breslin, M.D., M.P.H. ; Gia M. Badolato, M.P.H. ; James M. Chamberlain, M.D. ; and Monika K. Goyal, M.D., MSCE, the study's senior author.